Lock in a great price for The Grove – rated 8.6 by recent guests! Had to move rooms from the standard to the mansion rooms and absolutely couldn’t fault it. The hotel is gorgeous (even considering it’s still undergoing some redevelopment for the new restaurant), and the staff, facilities, meals and grounds are all pretty-much flawless. There’s even someone employed to drive you in a stretched golf cart to some of the further venues so you can save your legs! Friendly staff, comfortable bed and a nice touch getting a cupcake for my husbands birthday. The hotel is set within beautiful grounds. The room was fantastic as were all the facilities. All staff were very welcoming, warm, helpful and friendly. We ate at Colette's pop up restaurant; Delicious! 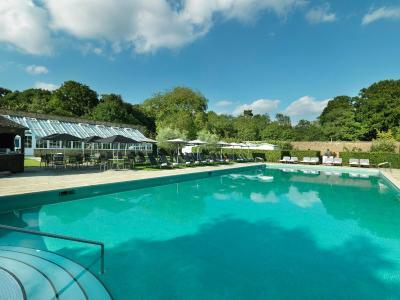 Close to London and lovely pool at the spa. Comfortable size rooms. The Grove This rating is a reflection of how the property compares to the industry standard when it comes to price, facilities and services available. It's based on a self-evaluation by the property. Use this rating to help choose your stay! Boasting sumptuous rooms with 42-inch plasma-screen TVs and Bose iPod docks, The Grove is set within 300 acres of beautiful parkland. It offers a luxurious spa, an 18-hole golf course, and 2 swimming pools. Elegant and spacious, rooms at The Grove boast king-size beds, free newspapers, and a free daily platter of fresh fruit and water. Guests can relax with pay-per-view movies and free Wi-Fi, or borrow CDs or DVDs to enjoy in the room. 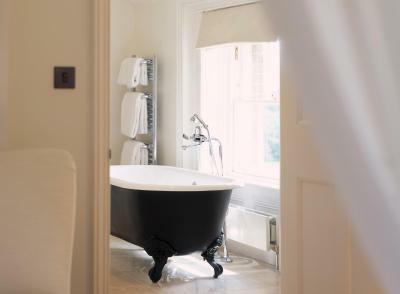 Each sleek bathroom provides luxury toiletries for guests. Sequoia Spa offers an extensive range of spa rituals, relaxing therapies, and massage treatments. There is a modern, fully equipped gym, numerous free fitness classes, and a saline vitality pool with hydrotherapy jets. Bikes are available to hire and explore the hotel’s lavish grounds, and guests can also enjoy a game of tennis at the tennis courts, or play croquet in the beautiful walled garden. Heathrow Airport is just 20 minutes drive away, while guests can enjoy horse riding at a local equestrian center also 20 minutes away by car. 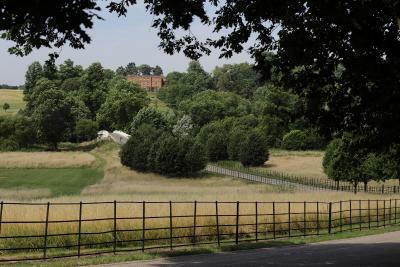 Whipsnade Zoo can be reached in 30 minutes by car from The Grove. This property also has one of the top-rated locations in Chandler's Cross! Guests are happier about it compared to other properties in the area. This property is also rated for the best value in Chandler's Cross! Guests are getting more for their money when compared to other properties in this city. When would you like to stay at The Grove? Features a sitting area with beautiful views overlooking the golf course and gardens, with a balcony or terrace. Children between 3 and 12 years old can have an extra bed for an additional fee. These contemporary rooms offer views of the walled garden and have a large private bathroom. They also feature an iPod docking station and 42-inch plasma TV. This double room features a flat-screen TV, electric kettle and iPod dock. This double room has a seating area, bathrobe and iPod dock. House Rules The Grove takes special requests – add in the next step! The Grove accepts these cards and reserves the right to temporarily hold an amount prior to arrival. During the duration of the work, the breakfast will be served in the Mansion house. Please note that an extra bed can only be provided in the Deluxe Double or Twin Room. Use of the spa and walled garden facilities is permitted from 13:00 on the day of arrival. Guests who would like to use these facilities before 13:00, there is a Resort Fee of GBP 30 per person. This fee applies all guests aged 2 years and above who are staying in the West Wing Superior, West Wing Deluxe and West Wing Family bedrooms. Payment can be made upon arrival at reception. It’s worth mentioning the hotel is vast - we spent a reasonable amount of our stay walking seemingly-endless corridors to the spa, breakfast, reception etc. Every guest you’d pass would greet you like you stumbled upon them on some remote mountainside! You really do take your luck with your room placement and the views you get, if any. The landscaped gardens at the rear of the property are lovely but unfortunately as our room faced the front, all we could see was the car-park. Spacious bedrooms. Beautiful gardens and walks. The standard rooms are a total rip off for the money. Tired, out of date, shabby. Room looked into a brick wall and so was very dark. Food in The Stables restaurant was very average,creme brûlée full of cinnamon and inedible. Some of the staff could be more helpful. For such an expensive room rate I was disappointed that the shower leaked in the bathroom, mini bar bin hadn’t been emptied from previous guests and the cafetière was broken. We felt the Grove experience did not deliver on this occasion. Lots of building work on site and the water gardens were under construction, both of which were eye sores. We felt it was a underwhelming trip. Nothing, it was a little bit hot but that’s not a bad thing in the winter.